Free Church: "The Apostolic Church!" Listen! God asks us to check if Jesus Christ lives in our spirit. The Bible says: "Make sure Jesus Christ is in you, and if not then you are barking up the wrong way. 2 Cor. 13:5. My name is Brother Espegren, I live in Sweden. A few years ago when I prayed to God the Holy Spirit came and showed me how people all over the world asking for revival. While saying the Holy Spirit to me: "How can people believe that it can be beautiful if they do not want to know of Jesus Christ's cross, which is the foundation for revival." 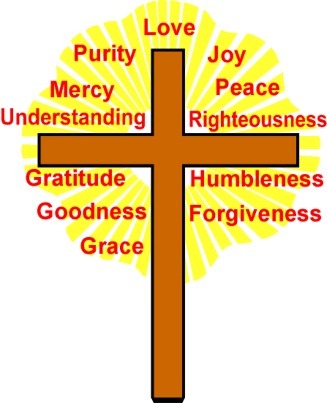 The Cross is the key to the Kingdom of God! Click here!